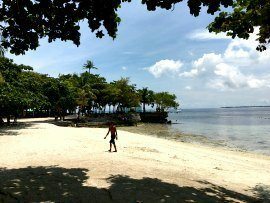 "It's More Fun Retiring in the Philippines"
Retiring in the Philippines is becoming the final choice of many retirees. In a recent survey done by Internations titled “The World Through Expat Eyes” the Philippines ranked 8th overall out of the 60 countries surveyed. That's why retiring﻿ in the Philippines is a good option? Although this survey was for expats of all ages a number of the elements surveyed are relevant for roving or permanent retirees. Although their overall ranking in this category was 44th. The Philippines ranked 2nd on Personal Happiness. This was pulled down by the other three categories Leisure Options, Travel and Transport and Health, Safety and Well Being which were only ranked in the 40's. However having lived in Cebu in the Philippines I think that, apart from the traffic in Cebu and Manila, the ranking of these categories are rather harsh. Depending on your interests there are many leisure options ranging from golf to tennis and mountain biking. Water based sports and recreation, like diving and snorkeling (which ranks amongst the best in the world) to all forms of sailing. There are 7 World Heritage sites, with another 26 on the Tentative list. Scattered over the islands and about 35 interesting natural parks all offering something quite different. Travel (is slow) and Transport (sometimes a bit rough) but there are many options that make for different journey experiences. In the bigger cities these include jeepneys, with a capacity for about 20 people, tricycles for up to 5 or 6 people as well as taxis and minibuses. Sea travel is easy by ferry or local bangka. Although bangka trips are dependent on the distance and the weather. In addition there are many internal flights. As far as Health, Safety and Well Being is concerned I would agree with the general ranking for Health. However we seldom feel that our Safety or Well Being is threatened. There is petty crime and there are areas that are dangerous and should be avoided but they are few and far between. In this category the Philippines ranked 5th with Feeling Welcome ranked the lowest at 16 the other three elements Friendliness, Finding Friends and Language ranked in the top ten. In Finding Friends a significant number of people found friends amongst the locals rather than other expats. English is an official language at school and most younger people, even if they don't speak it too well, can understand it. Accents have a strong American influence. One of the major sources of the country's foreign income in from overseas foreign workers (OFW's) – Filipinos who work overseas and send money back to the Philippines. In the Family Life Index the ranking is 7th with Cost of Childcare and Education being extremely affordable. The cost of a domestic helper is very low. 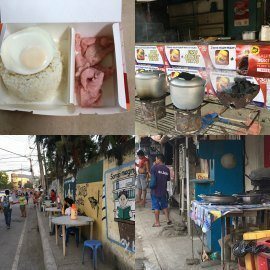 For a live in helper who is provided with board and lodging the minimum monthly wage ranges between P2 500 per month ($60) (in the metropolitan areas) to P1 500 per month ($35) in the provinces. In addition there are certain statutory contributions for social security and housing which amount to less than P200($5) per month. Many of the people working in these childcare roles would make fantastic companions to older folk. They are generally very caring, kind and a great help with day to day living (especially traveling and shopping). When retiring in the Philippines: Less is More! The country received high ratings for several factors, placing them among the top 10 countries in both the Personal Finance and Cost of Living Indexes. 55% of the participants consider their disposable income more than enough to cover daily living expenses. Thus, it comes as no surprise that the majority of participants in this country are satisfied with their overall financial situation. Moreover, 84% of the participants in the Philippines indicate that their income is above the local average. 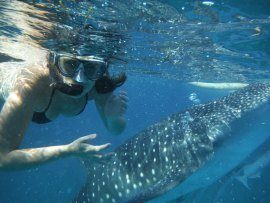 The Philippines is one of the great places for the hopeful romantic and for meeting your life partner. More than half of the survey participants in the Philippines who are in a relationship met their partner here. So out of all the countries surveyed, the Philippines at 66%, has the highest share of people who are in a relationship with a local resident. While one accepts that the results for this kind of survey do not apply to everyone there is no doubt that there are many excellent reasons why the Philippines is a great choice.